From the author of Cryptomancer comes SIGMATA: This Signal Kills Fascists, a cyberpunk tabletop role-playing game about ethical insurgency against a fascist regime, taking place in a dystopian vision of 1980's America. Players assume the role of Receivers, the superheroic vanguard of the Resistance, who possess incredible powers when in range of FM radio towers emitting a mysterious number sequence called "The Signal." When the Signal is up, Receivers lead the charge against battalions of Regime infantry and armor or serve as the People's Shield, protecting mass demonstrations from the brutality of a militarized police force and neo-Nazi hooligans. When the Signal is down, however, Receivers are mere mortals, desperately fleeing from a powerful state that senses their weakness. It's called the Sigmata, a Signal-induced stigmata, because it is a both a blessing and a curse. At least when you're marked by the state, you can’t sit on the sidelines anymore. Construct your cybernetic revolutionary with a wide assortment of cybernetic implants, Signal-fueled superpowers, iconic equipment, and invokable story hooks. Leverage strong teamwork mechanics to prevail in structured scenes of combat, evasion, and intrigue, each scene putting every player at the table in the spotlight. Manage a fragile alliance of partisans from vastly different ideological backgrounds and steel the Resistance against sabotage, extremism, dwindling morale, and shocking betrayals. Contend with the Regime in a constantly evolving political struggle powered by the game's built-in insurgency sandbox, which incorporates Resistance and Regime strategy, factional loyalty, and the sentiment of the people. This Signal Kills Fascists. Repeat the Signal. Content Warning: Explicit language and discussions/depictions of a political ideology centered around extreme bigotry. Accessibility Warning: Unfortunately, this product is not well optimized for low-visibility customers at this time. We regret this misstep and encourage all game designers to incorporate accessibility into their designs. I understand there is some errata and additional material for the game on some discord server. I have not been able to find that server. If someone could help it would be most appreciated. I like the concept but I have a question about the system, could anyone please shed some light? Given that stats influence maneuvers rather than approach (combat or stealth, aggressive maneuvers have a similar mindset), how common is it for players to fall into a set pattern? I realise narration can break this up but I play with some fairly minmaxy people and can see them falling into a statistically optimal pattern of maneuvers that would just be repeated ad-infinitum. To use a completely different game as an admittedly poorly relatable example, in D&D you can vary enemy types, numbers etc to provide different tactical options and avoid players just optimising dps and healing to maths their way through a campaign. Are there any tools in the game for the GM to shake the players out of their "optimum dps" pattern? I realise they may have to adapt to failed rolls but is there anything that would encourage a varied gameplay approach from the outset of a scenario? You have identified a legitimate player behavior pattern that the mechanics currently enforce. In the Discord channel, there is a new character sheet (and errata for balanced/tweeked powers and implants) that changes the game's calculus to avoid relying on a single methodology every scene. TL;DR, the character who is aggressive during a combat scene is no longer necessarily someone who will be aggressive during an intrigue/evasion scene. This will become "formal" in a forth coming sourcebook, but right now, the sheets and new rules are available. There is a free full game and alternate-setting available at landofnop.com called "Bombs & Balaclavas," which was built on the "newer" rules. Thanks for the reply and the honest answer. Regarding the sourcebook you mentioned, is this planned as an expansion or a new edition? An expansion, but the actual nuts-n-bolts errata and new character sheet will remain free on the Discord. Hi everyone! I'm really interested in Sigmata, but there's one thing holding me back: The potential quality of the hardcover. I've gotten books from DTRPG before and have been left disappointed a couple times. Nevermind! I managed to find a picture online. The book looks *gorgeous*. I'll definitely be picking it up. Here's the picture I found for others who might be interested. I know that DriveThru's fantastic customer service has reshipped books or given store credit to at least one buyer who received a bad misprint (which is one of the many reasons I sell through them). How well does Sigmata handle one-GM one-player play? It depends. The player would have to play between 3-5 Receivers themselves. That can be done relatively easy and goes super fast (you get to decide how to distribute everyone's tactics and exposure). Solo play is also a strong possibility because how scenes are structured. However, the game is really not suited for the story of a *single* Receiver. I'd check out the tutorial links in the comments below... you'll see what I mean about requiring a team of Receivers, but also how easy it would be for a single player to manage them all. Well, if I hadn't already backed this awesome game the second it went up, I'd buy it again now simply based on all the fashy neckbeard cheeto wizards having a screech here. 10/10, would enrage Randian bootlickers again. Thank you for your support, and the laughs. Hi, I was wondering how well this game plays as a one-shot. "Well, I streamed it for the EFF. And it doesn’t do Sigmata justice. You have to choose between getting in structured scenes and world-building. If you choose a single thing to focus on, you can absolutely do it though. I’d suggest sticking to either one large or two small structured scenes (depending on time), and making sure that you hit the world-building HARD. 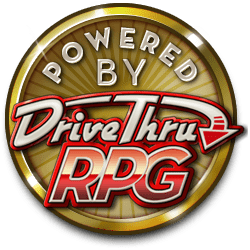 Focus on a single goal — something as small as “hit a freedom fist convoy” or “save an informant.”"
I, and a few of my friends, are interested in this game. Is there a ruleset for being cops of a modern utopia plagued by spoiled brats who became radical terrorists because they didn't get their way? Or at least a ruleset for a group of civilian vigilantes who despise said radical terrorists who got them fired just for voting for Gary Johnson? Thanks for your support, comrade! These comments absolutely boost my sales. I like your first idea. We should call it "Robert Mueller Simulator". So, no? You don't have any plans to expand provided content? Because you have an interesting thread about Recievers being on both sides, and it seems like an interesting game thread idea. There are plans for additional settings, and rules/resources/blank templates to make your own setting, currently slated for early 2019. The game's FB page and discord has already provided teasers. The core game does feature Receivers who have thrown their lot in with the Regime, but they are powerful enemies, not playable characters. The game's strategic mechanics and rules for ethical insurgency were designed to emulate/dramatize the side of armed insurrectos fighting the state. They do *not* support a game about protecting the state, maintaining the status quo, or further punishing those already punished daily by oppressive systems. SIGMATA now includes PowerPoint templates to create your own setting, factions, and struggle. Looking forward to exciting community content! Not gonna lie. Part of my purchasing decision was based on the ridiculous comments people posted below. Short version: excellent fast-paced game for playing rebels fighting a totalitarian government alongside hated allies. Definitely not a general RPG, and definitely not tame on subject matter. Extremely political in themes. Recent political events have brought fascism, Nazism and other serious topics into the forefront of modern society. So it was only a matter of time before fiction and games started to hit what is culturally relevant for this time. Sigmata is a tabletop game of anti-fascist politics and insurgent strategy. Taking place in an alternate universe 1980s, the United States has taken anti-communist paranoia and American jingoism to its natural conclusion, and transformed into a totalitarian state where "un-American" behavior is a crime, and minorities of all stripes keep their heads down in fear of a police state that takes joy in their suffering. From there the setting takes a fantastic twist. A government experiment called Project...See more Sigmata succeeded at creating the Signal; a pseudo-supernatural data pattern that, when transmitted via radio waves, can transform select electronic devices and human beings into supernaturally-powered metal components and cyborg superhumans respectively. Now hunted by the Regime trying to exploit your existence or hide it from the public, you have little choice but to join the Resistance that hopes to topple the government in revolution and restore freedom to the nation. First I'll talk about the mechanics of the game, then the central element of the setting; the so-called "Signal". One interesting thing to note is that the game mechanics operate on two scales: the tactically-scaled "Operating System" which acts as the core mechanics of the game during play, and the strategically-scaled (and aptly-named) Strategic Phase that monitors the progress of the campaign overall. The core system of the game is an interesting one, as it combines high-level abstraction with narrative-driven resolution mechanics. The fundamental dice roll of the game (much like it's predecessor Cryptomancer) is a pool of five dice: a number of d10s equal to the "Core" (the name for this game's attributes) you are using, along with an amount of d6s to bring your total pool to 5. All rolls of 6 or higher are considered a success, while all rolls of 1 are botches which subtract a success. If the net total exceeds 0 (which isn't particularly hard), you have succeeded to some degree. If the result is negative or 0, you have failed. Of interesting note is that the pool itself cannot be modified by factors external to your Cores; modifiers may affect the final result, but these all take place after you roll. Ultimately this gives the game a decent simplicity, as there's no need to remember pool adjustments. Instead, various character powers and traits positively affect your result after the dice land, allowing you to ignore botches, double the successes of 10s, add free successes, or any number of other benefits. All this comes at the caveat that you must work the implant (known as Blades), superpower (known as Subroutines), skill, memory or equipment into the narrative description of your success. And true to newer game trends, narrative control falls either entirely on the player if they succeed, or entirely on the GM if they fail. Of interesting note is the flow of play in the game. To simplify work for the GM, they make no rolls and track no attributes. Instead, the GM adds a fixed quantity of exposure (the game's analog of hit points) depending on the scene type (evasion, combat or intrigue) and degree of opposition faced. Then the players use their turns to respond or negate those effects with their actions. Exposure is capped at 10, and if any PC's exposure remains at 10 at the end of a round (as in after every player has taken an action and just before the GM takes his next move), they are taken out of the scene in some way... captured, injured, whatever. Players may get a second wind and jump back into the fight with an action called Rebooting, but that character then spends the rest of that scene and the next one at risk of being permanently removed from the campaign. Thus, PC death effectively rests in the hands of the players, and its up to them at any point whether or not they wish to risk it. That so much of the tactical play rests in the hands of the players not only reduces the workload that sits on the GM's shoulders, it alleviates GMs of many of the common complaints that players often have... whether it be that they have too many good rolls, or that they're being too lethal. The strategic ops of the game are interesting in that they have broader mechanics that the players have indirect control of, and provide gauges and scores that help the players understand the status of the war effort. This makes the effects of the campaign very visible to players in an obvious and readable way, rather than relying solely on the descriptive talents of the GM running the game. Another neat feature is that players choose their missions rather than GMs (with the exception of choosing what the Regime does in each Strategic Phase, which still happens at the GM's behest). The play structure of the game lends itself well to improv missions rather than pregenerated or designed ones. GM's mostly need to set the scene and define objectives, while the players will largely control events from there. It makes for a very comfy game behind the screen, and a fast-flowing and frenetic game on the other side. One thing I'm learning very recently is that the structure of the game lends itself well to play-by-post. Since players retain narrative control on successes (and they will succeed on most rolls), and the game's explicit use of exposure and progress trackers, it's pretty easy to let the players take most of the reins during play and just sit back to watch the madness happen. So long as their descriptions don't contradict the trackers and mechanics (they don't declare an NPC dead that hasn't hit max exposure, or don't claim a bonus they didn't work into their narration), they're fine and need little babysitting. And if you're playing on a forum or asynchronously in a chat, that's a godsend for easy play. Now we'll talk about the force that creates the game's namesake: the Signal. Land of NOP's previous game Cryptomancer utilized metaphor to teach infosec concepts to laymen, turning fun and fantasy into educational symbology. The developer continued this idea with the Signal, a metaphorical superpower-creating radio signal that represents the information feeds and internet connections that sustained rebellions during the Arab Spring, or were suppressed to topple similar rebellions in China. Much like in these real world rebellions, the existence of the Signal and retention of the feed puts the Regime in a weakened position and forces them to remain on the defensive; when the Signal goes down, the Regime becomes free to crack down hard, with the player characters becoming powerless used as a metaphor for when media blackouts give tyrannies liberty to use excessive force and violence to smother resistance. This, combined with the strategic elements of the game, is intended to teach players the complexities of managing a contemporary rebellion, and why revolutionaries often ally themselves with unsavory folks. In many ways, it's a contemporary take on the plot of Star Wars (complete with seemingly supernatural powers and cyborgs) which does not shy away from the gruesome aspects of rebellion and paint the rebels as saints and martyrs. You'll be allied with religious fanatics, self-serving businessmen, disgruntled war vets and Soviet apologists... and you have to figure out for youselves how you stick to your ethics while preventing your revolution from falling apart at the seams. Trust me, after a game of this you'll fully understand why the Founding Fathers joined up with slavers, French nobles and German mercenaries. Now this game might not prove enjoyable for everyone. The book is chock full of trigger warnings, and for good reason. This game deals with racism, sexism, bigotry of all sorts, and especially fascists and Nazis. If these topics bother you either because you are offended by things that address them directly, or because you think these are things that are exaggerated too much in modern society, you will not enjoy this game. The writer clearly does not see Nazis as a harmless presence, but an imminent threat to modern society that he is trying to warn you about the dangers of. It does not pretend to be apolitical, and it does not pretend to have no agenda. This is entertainment for education's sake, not entertainment's sake... and at no point does it claim otherwise. You have been warned, and the book will warn you again. Overall I think the game does a fantastic job at its goal, which is to portray an ugly emulation of revolutionary politics. If you want to play a lighthearted game of good vs evil, this won't be it. To that end, the mechanics are wrapped tight around its premise, so this game could in no way portray things outside a revolution. I wouldn't recommend it if you wanted to play any other thing, regardless of whether it's a supers game, cyberpunk game, or even an anachronistic 80s game. Admittedly, it wouldn't be hard to make adjustments to the specific genre of the game... making blades into magic artifacts and subroutines into spells would be a simple way to convert this into a fantasy setting... but the themes are ingrained so it will still be a game about revolution against a totalitarian state. And towards that purpose this game is excellent and highly recommended. Premium Hardcover now available. More inexpensive options coming (standard print, softcover, etc.) in next few weeks. If you already bought the PDF and want the Premium Hardcover/PDF combo price, I leave it up to you to contact me. Our FB and Twitter info is located at the game's Kickstarter page. One of the game's stretch goals was a compendium of alternate settings and rules for creating your own Sigmata setting. Do you have any intentions on making this a late release or is it going to stay something only accessible to those who backed the Kickstarter? Yes, the companion book "Repeat the Signal" will hopefully be released here in December or January. It will be a compilation of the stretch goal alternate settings, plus guidance on creating your own struggle, including blank templates to make your own war room, Regime/Resistance actions, Faction Favors/Fallout, etc. That sounds amazing! I look forward to this! Are there any plans for a quick start for the game? For us fence sitters! LOL :) Congratulations Chad on getting this thing published! Looking forward to you offering a print version! Just need to drum up some funding to get a copy of the game! BTW, I don't have to agree with the game creator view of politics to enjoy a game that explores current politics. Hi Michael P! Thanks for the support. There are currently no plans for a quick-start version, as the creation of this type of artifact is still a pretty big endeavor for an indie-shop. However, I will continue to create tutorial videos which give pretty deep insight into how the game works and are hopefully useful for people to determine if the game is right for them. And thank you for your comment about not having to agree with the creator's views. The game was not written to make *anyone* feel comfortable, author included. Great comment! I don’t agree with the game creator’s political view, but think this is irrelevant as to whether or not Stigmata might be a good rpg to try out. The reviews to date are ranking very high, and I’m looking forward to learning more about the system through tutorial videos.